The Top Essential Slow Cooking Tips & Recipes for Beginners! We live in a fast paced world. We want everything easy and quick especially in preparing delicious meals for our family. But sometimes, going slow can be quite advantageous. 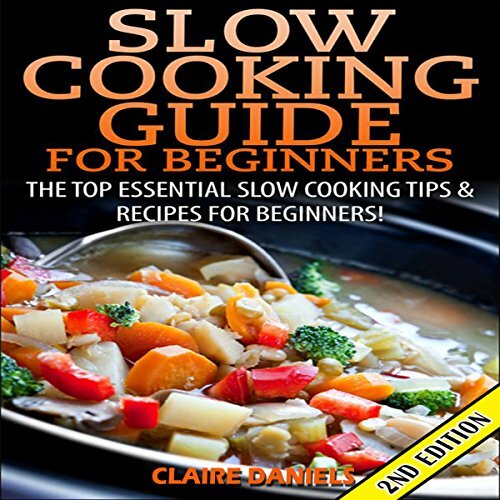 Slow cooking is a cooking method that utilizes low heat for an extended period of time. The food prepared using this method will become oh-so-tender and more flavorful. In the past, slow cooking involves putting a pot in the stove over a low fire for several hours. Unfortunately, this leaves room for the homemaker to do anything else since the flame needs constant supervision. If not, the pot may over boil, dry out, and cause a fire if left on for too long even on low. Fortunately, this won't be an issue anymore since the slow cooker has already been invented. The slow cooker, also known as a crockpot, is a special electric pot with a glass lid and inset ceramic bowl. It typically has two temperature settings such as low (180 degrees F to 200 degrees F) and high (280 degrees F to 300 degrees F). It uses indirect heat to cook food in a steady and moderated temperature that doesn't result in food, or worse, house burning even when left on for most of the day. You can turn it on it on the morning before you leave for work and come home to a warm and perfectly cooked dish. You may also turn it on before sleeping at night so you'll get to enjoy a delicious meal as soon as you wake up!